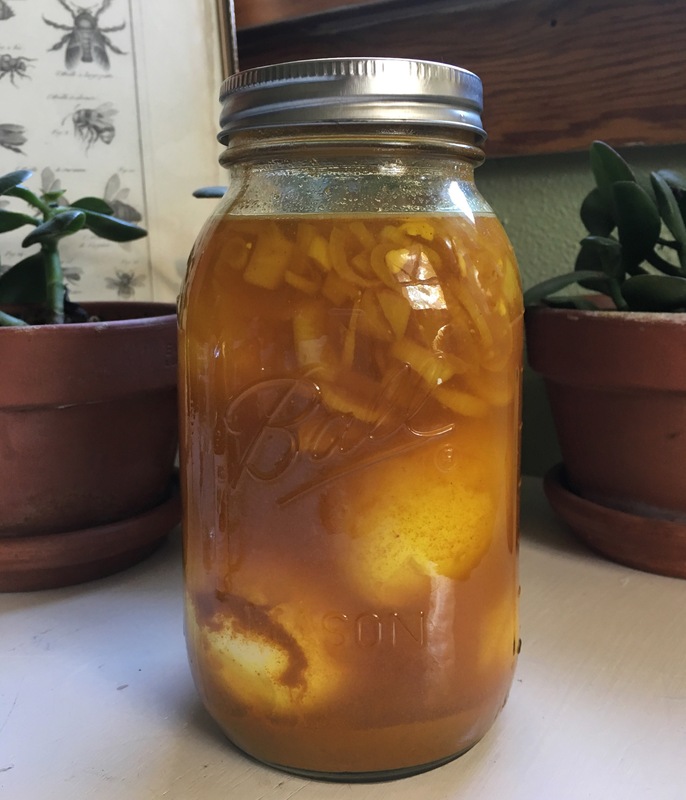 Quite some time ago, I made some turmeric pickled eggs. Then I ate them up quickly and left the brine in the refrigerator, thinking I had read somewhere that it could be reused to pickle again. A little research later, the conclusion is, indeed, the brine is safe to reuse as long as it was only used for refrigerator style pickles. I love a recipe + labor that can work double duty. 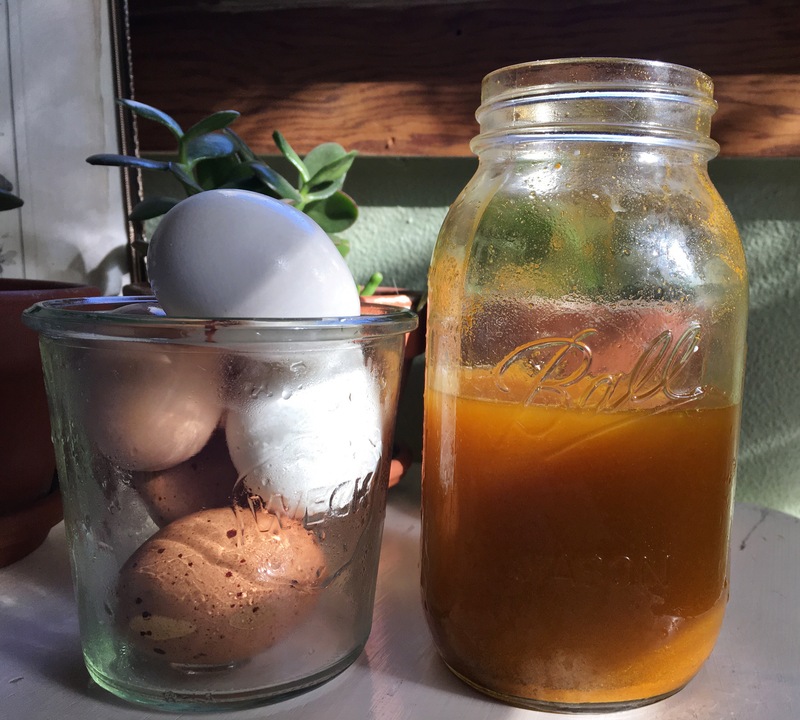 All I had to do was boil more eggs, peel them, reheat the brine in a pan, plop the eggs in a jar, and pour the hot brine over the eggs. Look at all that turmeric goodness! HA! I knew it! Of course no one will believe it.